Sun in Capricorn takes the focus to people who have the patience in the same amount as the energy of this star. The sun that illuminates the goats at the mountains is the perfect representation for this sign, which can achieve its goals, even if the walk is bitter. Learn more about the Sun, after all it is the main point of our natal chart. Sun in Capricorn are known for being calm, rational and reserved with whom they do not know. They are practical and pragmatic, rarely acting recklessly. They like precise steps and calculated risks. They often put reason in front of the heart and tend not to express their emotions. Therefore, demonstrations of affection, especially in public, bothers them. 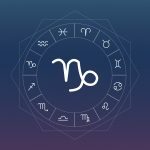 Sun in Capricorn brings a good time to set long-term goals and practical plans to achieve them by putting into practice what we procrastinate in doing. Anyway, to do what has to be done, even if they are not very pleasurable tasks. Sun in Capricorn are easily compared to the goats, their symbol. Very persistent, see no problem in having a long way (or climbing) ahead. Workers, disciplined and responsible, people of Capricorn are the ones who do everything for a job well done. As they are dedicated, it is common to complete tasks that have been abandoned by others. They are trustworthy and the kind of person who keeps their sanity even in despair because they always know what to do and what decision needs to be made. Although not very sociable and warm, they are loyal and seek stable relationships. Few, but good friends. They have the ability to save money and cope well. It is rare to see a Capricorn who does not have a financial reserve, always ready for any setbacks in life. Perhaps the most known aspect in the dark side of Sun in Capricorn is that they are too much disciplined with money, which gives them the fame of penny pinchers. For Capricorn, material goods are so important that they crave and protect them with rigidity. Since they are the kind of people who think “ends justify the means,” they can take somewhat dubious attitudes along the way. They do not waste time on what they think is not worth, discarding things and even personal relationships cold and practical. If a relationship no longer works for them, they do not suffer by saying goodbye. Because of this, they are called by cold-hearted by other people. The lack of self-confidence makes them pessimistic and demanding with themselves and others, always demanding good posture and putting difficulty in everything. Sun in Capricorn always see things as more difficult as they really are. They are averse to surprises and a little dynamism would put a little more color in their lives.